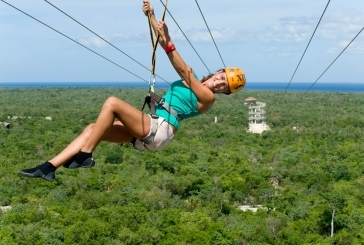 Cancun Adventure Parks & Eco Parks Tours! 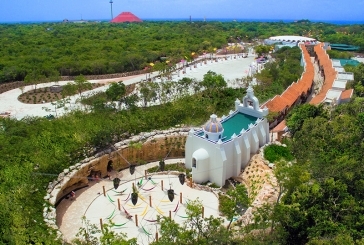 There are plenty of Ecological Parks near Cancun, we've picked the best for you. Enjoy snorkeling in Xel Ha, visit the most famous eco park Xcaret, sail in catamaran to the beautiful marine reserve "Garrafón", or practice some adventure activities in Xplor. 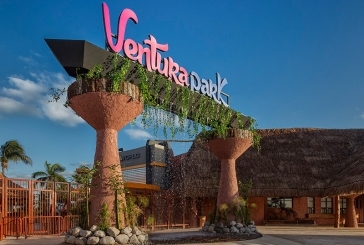 Taking an all-inclusive eco park tour is always the solution for relax and fun, book it now! Xcaret Eco Park offers more than 40 activities and attractions including swiming into underground rivers, coral reef aquarium, fauna admiring (deer, jaguars, flamingos, turtles) and the world known night show "Mexico Espectacular". 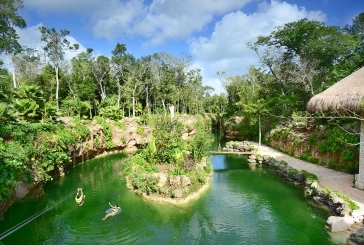 Xcaret Natural Park is a great option to enjoy with the family, get the best prices for Xcaret tours from Cancun & Playa Del Carmen here! If you like to explore new landscapes Rio Secreto is for you! 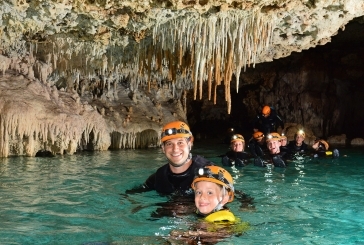 Immerse in the adventure surrounded for whimsical and millennial formations in the earth in Rio Secreto. While you are sailing through underground rivers the crystal clear water, landscapes and harmony of the majestic formations will delight you. This natural reserve is without any doubt one of the best tours in Riviera maya that you can’t miss. 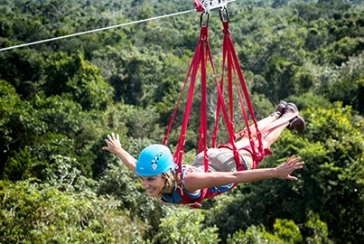 Enjoy endless adventure activities on Xplor Park. Plenty of fun is waiting for you on Xplor Adventure Park's 4 different activities: Ziplines, underground rivers, rafts and amphibious vehicles. Find the best deals for Xplor tours from Cancun & Playa del Carmen. Book now! Garrafon Eco Park is only 25 minutes away from Cancun and offers you the best option to enjoy outdoor activities, ideal to take a rest but also have fun by doing water sports, all in a natural environment . 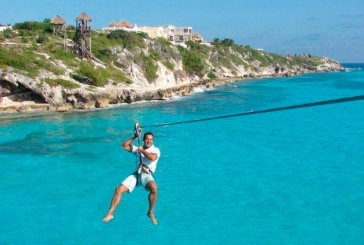 Enjoy more than 20 different activities in Isla Mujeres. Delight yourself with a delicious buffet and of course unlimited drinks. Garrafon Eco Park also offers relaxation areas with hammocks, lounge chairs and tropical bars, book now! 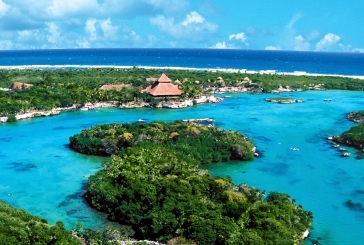 Xel Ha Water Park is knowned as the World's Biggest Natural Aquarium. Enjoy Unlimited snorkeling and water activities on a beautiful and natural atmosphere. Tour Xel Ha Natural Park is an all inclusive service, which means all activities, gear & equipment, drinks & meals are included. Get all the info here and book now! 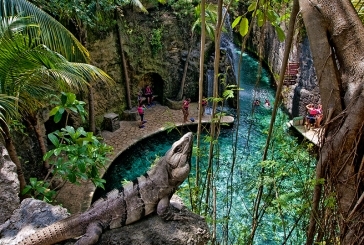 Xenotes Natural Park is the best way to get a connection with nature. During your Xenotes tour you'll visit 4 diferent cenotes and enjoy different ativities such as snorkeling, kayaking and rafting. Transportation, delightful food & drinks are included on the Tour Oasis Maya from Cancun & Riviera Maya, get the best price now! Get a little taste of Mexico on Xoximilco Park. Enjoy an authentic mexican party while singing and dancing traditional live music such as mariachi. During this journey you'll try mexican dishes and desserts, plus an open bar with tequila, beer and flavoured waters. Xoximilco Tour is a great nightime attraction in Cancun and Riviera Maya, book now!